Rachel Chung responds to Straits Times' writer Joanne Lee. When Joanne Lee wrote her article, “Was Rihanna semi responsible“, it sparked outrage. After all, this was a highly educated journalist who was not only simplistic in her gauche attempt at psychoanalysis, it was also social irresponsibility in the endorsed condoning of ‘provoked violence’. Ms Lee seemed to have missed the point that there is no excuse or justification for violence in any relationship, provoked or not. For a start, she argues that she had a part to play in aggravating the onset of her ex boyfriend’s violent behaviour, but it completely eludes her that he had total freedom in his choice of response. I found it very disturbing that it was insinuated that violence is the only inevitable method to ’argumentative’ behaviour. While she stressed that she supports Rihanna to leave Chris Brown as it was a ’not so mild’ case of abuse, she subtly condones and excuses the violence in ’mild cases of domestic/ dating abuse’ by urging the women to change themselves if they ’truly love the guy’. So, does stopping ‘after one hit’ make it acceptable then? I am shocked that a journalist as qualified as Ms Lee had demonstrated such emotional and analytical deficiency. Who should be responsible – the victim or the abuser? Ms Lee calls upon the victims of ‘mild domestic/dating abuse’ to change themselves. This suggests provocatively that the fault lies with the victims and not the perpetrators of violence. This is an unreasonable attack on the psychological mindset of victims who often suffer from an already overwhelming sense of inadequacy. 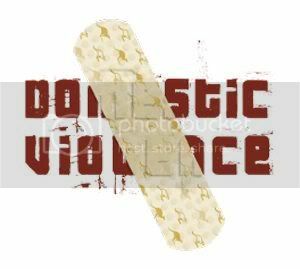 As any social worker will tell you, victims of domestic or dating abuse tend to suffer from a displaced sense of responsibility – that they had caused the abuse somehow with their behaviour or words. Being psychologically and physically dominated, they tend to feel that the ‘punishment’ is proportionate to their ‘mistakes’. Abuse victims wish that they can stop the abuse by being a better wife, a better girlfriend, by saying and doing the right things but of course it never happens. The abuse will continue to happen despite their best efforts. The simple reason is this – the responsibility for violence lies completely with the person employing it. To suggest otherwise is socially irresponsible. With that, I seize every opportunity to nurture confidence and independent thinking in my daughters and have always encouraged them to express their thoughts or opinions. Being opinionated or the very notion of having an opinion should not be a basis for the trigger of violence or abuse of any sort. Having walked out on an abusive marriage myself, I share my story without shame with victims of abuse as positive encouragement. My ex husband felt it was emasculating and humiliating that his wife commanded a bigger salary than he did and indulged the need to reinforce his ‘masculinity’ with physical and verbal abuse, which by Ms Lee’s standard, might be considered ‘mild’. What kind of ‘change’ would she have suggested for me? Therefore I felt flabbergasted that Ms Lee trivialized the evolution of hard fought feminism and women’s rights with her distasteful stoking of the chauvinistic ego and in advising women to change if they ’truly love the guy’. I say, change for yourself, for the better for your future and not for a man who deems it fit to slap you around because you did not measure up to his expectations of ’acceptable behaviour’. It is easy to bait traffic by being deliberately controversial. Indeed, her choice of title – “Was Rihanna semi-responsible” – was provocative and distasteful. Her argument was weak to say the least but it was certainly outrageous and controversial. If Ms Lee is aiming for eyeballs in this case, I must say that she has succeeded. However, since tabloids also enjoy a high circulation, there is always the question of editorial integrity versus quantifiable reach. If that response was from a primary or secondary student, I would have understood and empathized with the level of maturity. However, when it is coming from a qualified journalist, the lack of maturity and depth in thinking is appalling. Ms Lee should also remember that she is blogging on the domain of blogs.straits times.com and not her personal blog. Any ‘personal’ opinions she expresses also carry the weight of mainstream media endorsement and that of a newspaper editor. The blog entry also offered no real explanation with the exception of attempts to trivialize the dissenting opinions. The readers did not take offence to the ‘Boston youths saying that Rihanna was to be blamed for her beating’ nor was there outrage about them ‘getting back together‘. Instead, the debate was about accountability being unfairly levered on victims of abuse in the questionable blog title and content. I find that the divergence of topics at hand insults the readers’ intelligence. In further arguing that her blog entry was about herself and her experience, she has missed the woods for the trees. While we may congratulate her for her personal enlightenment, it does not excuse the impact her remarks have on the bigger social picture. Furthermore, she was shocked that ‘readers of her blog thought she was trying to excuse abusers (of any age)’. In that, perhaps she should re-examine her writing style or technique if it had indeed caused such a widespread misunderstanding of her intentions. ST blogs – corporate or personal? The public reaction to Ms Lee’s article had inspired a question – what is the angle and objective of the ST blogs? Is it to ’humanize’ the journalists behind the print medium? Is it a corporate mouthpiece of the Straits Times? Whatever they might be, it is safe to say that the blogs are never meant to be ‘personal musings’. Thus, saying that ‘the best response to my blog entry via Facebook from my ex: “Thank you for forgiving me.” Now that response is one that really means something to me’, seems inappropriate. Either it is a case of bad writing (again) or it communicates the writer’s true thought – that the readers’ responses are inconsequential.